As you have probably seen in other posts, I have written extensively over the past few months about the Windham School Board and then added more posts regarding the school board elections. Dennis Senibaldi is a member of the Windham School Board. Al Letizio is a Windham Selectman. Both men are elected officials who hold public office. Apparently Letizio and Senibaldi didn’t like my articles outing their bad behavior. Both men threatened legal action against Examiner where all of my articles were originally posted. Both men claimed I never talked to them about the articles, which is an outright lie. Nor did they try to contact me about any of these articles through Examiner. Ms. Morin, our legal department – as well as various other departments within our company – has received several complaints about your coverage of the Windham School Board. Complaints include factual inaccuracy, defamation of character and an unwillingness to allow the parties involved the opportunity to speak to the allegations you have made. 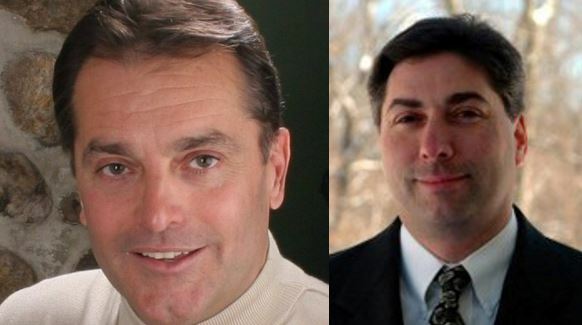 After posting the article showing Letizio’s false accusations he made against then-candidate for school board Tom Murray both Letizio and Senibaldi claimed I wasn’t telling the truth. I asked BOTH men to point out what wasn’t true in my article and neither of them would. As a writer who spends countless hours researching, I take pride in the factual evidence that I ALWAYS use to back up my statements. Every article ever posted in regards to these two men has contained links proving their behavior. When I do make the ocassional error, I immediately update the article with the new information. This is the first article I posted on Letizio and one which he is complaining about and threatening legal action. http://granitegrok.com/blog/2015/03/100394 I took snap shots from his OWN Selectman facebook page of his OWN words. That’s right, he was posting false accusations against Murray on his public official page. Again, he cannot point out what is inaccurate. He also claimed my posts were ‘defamatory’ yet thinks nothing of the false accusations and actual defamatory posts he posted about Murray. I simply shared the truth. Senibaldi isn’t happy with a few articles but I think one of his main complaints was over his stealing an email from Windham Town Selectman Bruce Breton. Again, everything posted is linked to evidence. Senibaldi admitted to taking the email and Breton told the Eagle Tribune that he didn’t give him permission. You can see that article herehttp://granitegrok.com/blog/2015/03/did-windhams-dennis-senibaldi-violate-the-state-computer-crime-law. What these two public officials are really pissed off about is someone actually wrote about their bad behavior. Not one lie or false accusation has been made against either man. Interesting that both men have made false accusations against others though isn’t it? Including myself when they claimed I posted false information and ‘defamed’ them. These men defamed themselves. They are elected public officials. They are using intimidation to stop the truth about them getting to Windham voters. They already proved themselves to be bullies during the Windham School Board election and now they are continuing by trying to bully me into shutting up. And it should be noted that NEITHER man has tried to contact me directly. They have gone to my editors threatening legal action yet not a peep to ME, the author of the articles they don’t want voters to see. Not only are they bullies but they are cowards as well. It should also be noted that when talking with Senibaldi over Facebook he ridiculed me for writing at Examiner. If I’m so unimportant, why the intimidation tactics? I think Senibaldi is finally learning how social media works. You’d think he would have already learned his lesson. Those who don’t learn from history are doomed to repeat it. And before either man complains about their photos being used – Letizio’s is from his public Twitter account and Senibaldi’s is from the Windham School Board page which is public and paid for with taxpayer $$. This entry was posted on Saturday, March 28th, 2015 at 2:48 pm	and tagged with Al Letizio, cowardice, Dennis Senibaldi, intimidation, NH, Windham, Windham School Board and posted in New Hampshire Politics. You can follow any responses to this entry through the RSS 2.0 feed.